The skin demands different care at different times. When you turn the 40s, the fine lines and wrinkles that start to appear in the 30s become deepened and convert into clearer wrinkles. Your skin looks uneven and dull because of lack of hydration and moisture. If you are lucky enough to not get any wrinkle, it's time to act. Your skin has been exposed to cumulative sun damage, health conditions, poor diet, a vast array of skin products, and poor lifestyle habits throughout the past 40 years. 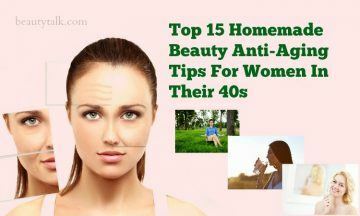 Therefore, learn anti-aging tips for women in their 40s to reduce some of the damage caused by the above factor. 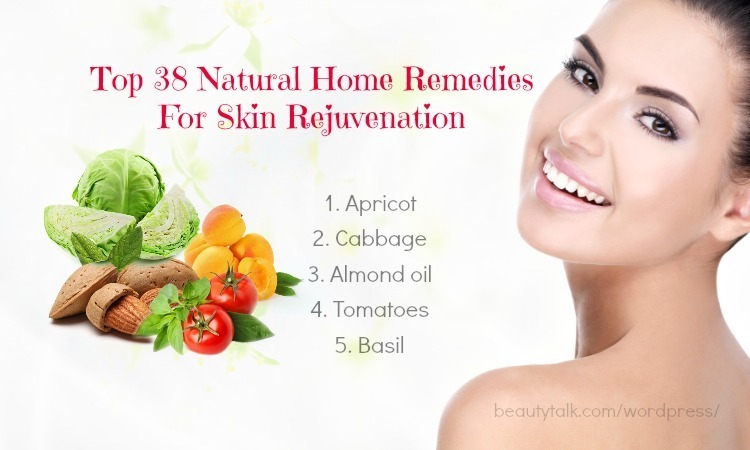 Today, Beauty Talk will give you top 15 homemade beauty anti-aging tips for women in their 40s. 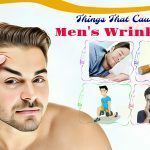 You should have a look at this article to discover more about these useful anti-aging tips because they are really useful for you when you are in your 40s. Collagen, the protein that assists your skin in remaining its elasticity, is very important for keeping youthful, glowing look. However, the skin will lose its tone and elasticity due to age because collagen wears down, leading to the unwanted wrinkles. Luckily, you can boost up the collagen in the skin. You can apply vitamin A products that are the ability to boost collagen synthesis in your skin as well as reduce skin discoloration. One of the versions of these products is retinol. 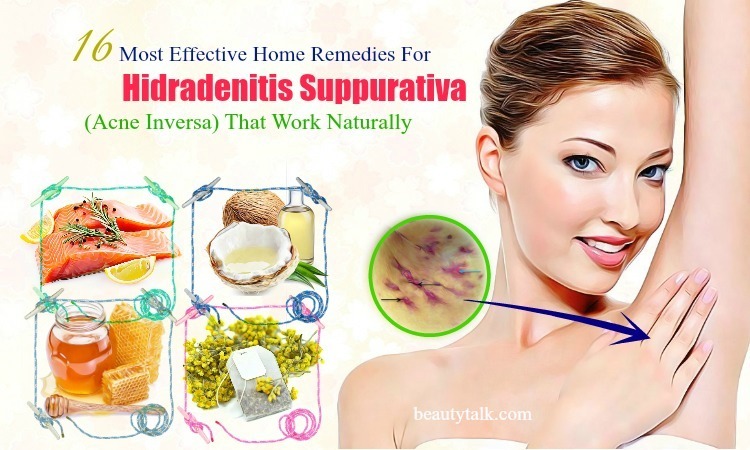 The stronger version is tazarotene and tretinoin. You should consult your local dermatologist to choose which type of vitamin A product is better for you. Antioxidants help to neutralize free radicals, causing wrinkles, sun damage, and even leading to skin cancer. 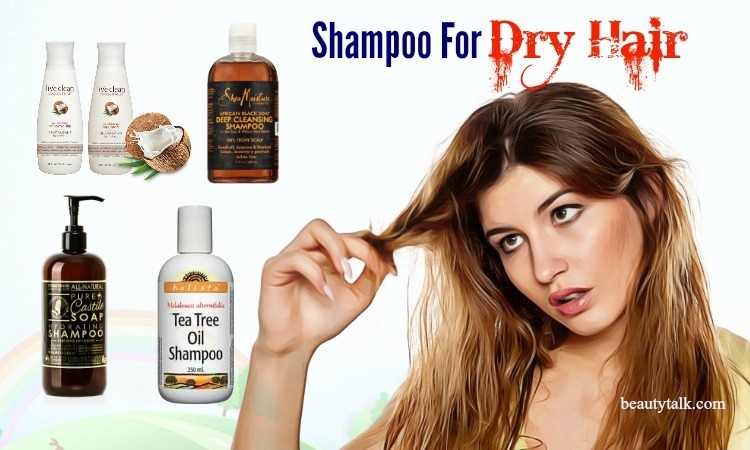 In addition, they can also aid in protecting the skin from the damage of pollution and smoking. Although there is still a few discussions about whether they may reverse sun damage or not, they make a modest skin look brighter. And in fact, if you protect your skin better, your skin will appear more evenly. There are a lot of foods packed with antioxidants that are very beneficial to your body, but many people don't consume enough of them. Therefore, you should load up antioxidants by internally and topically. Your skin may immediately radiate youthfulness after using an antioxidant-rich cream. However, if antioxidants don't work fast, you should continue using them for 5 or 6 months to notice the benefits. Then, you will not only get an even skin tone but also reduce fine line, and dry skin. Always drink enough water throughout the day, at least 8 to 10 glasses per day. In addition, you should also avoid the sugary beverages and always keep water by your side. 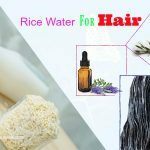 It both quenches your thirst and keeps your skin supple and hydrated. When you feel thirsty, you are already dehydrated. This is not good for your body and skin. Drinking enough water will hydrate your cells, which helps to stay nutrients in your body and draw out harmful toxins. Proper hydration assists you in sweating more efficiently, keeping your skin look fabulous and glowing. For the cocktail, you need not avoid it completely, but remember that alcohol dehydrates the skin. One of the anti-aging tips for women in their 40s is to hydrate your skin with a moisturizer that has an ingredient attracting water called hyaluronic acid. This helps you protect your skin from the damage of environment, keeps skin cells translucent, and prevent moisture loss through evaporation. In addition, you should also apply your moisturizer to your skin and leave it on overnight to get up with a glowing skin. Even if you have a naturally oily skin, you can still look for a moisturizer that is oil-free to get rid of the greasy feel. Furthermore, you ought to opt for a moisturizer that has SPF protection of 30 or more for daytime to reduce the application of other skin care products. If you want extra coverage, you can replace too-thick foundation with a thin layer of tinted moisturizer. Also, facial masks are very useful for giving your skin an extra hydration. 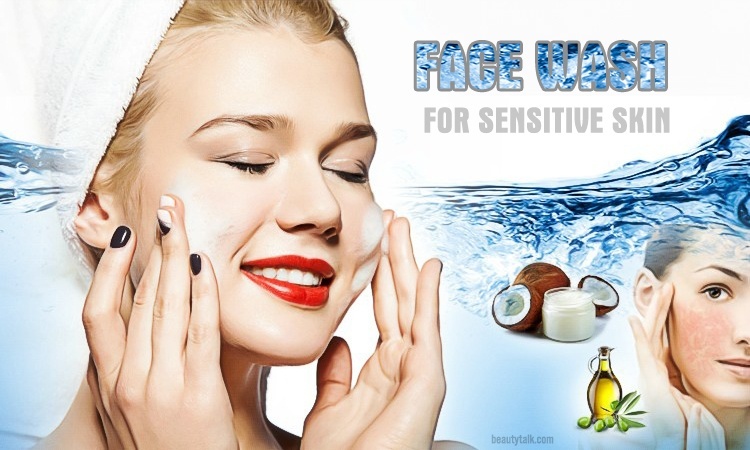 You should use them after exfoliating your skin, which helps them to penetrate into your skin more easily. Getting plenty of sound sleep is an easy thing to help you look youthful and fresh every morning. While sleeping, your body repairs the damage caused by toxins and trauma you are exposed to throughout the day. Therefore, let your body refresh and relax completely each night so that you can get a glowing skin every morning. Sound sleep also reduces the stress levels, which help to prevent skin aging because when stress hormone levels increase, they can cause direct damage to your skin. Make sure that you get a nice sleep for at least 7 hours, which helps you to defeat the aging process easily. Tip: If you are getting an aging skin due to lack of sleep, improve your sleep habits immediately. When you who get enough sleep and have a relaxing holiday, you almost looks several years younger. 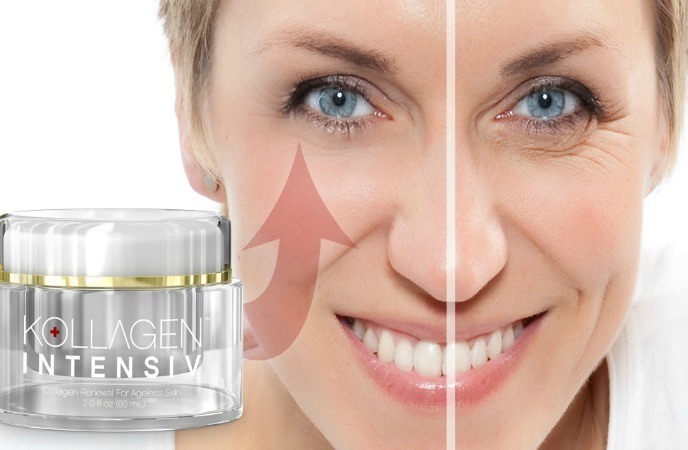 If anti-aging tips for women in their 40s are done properly, improving dull looking skin is completely able. Start by always removing your makeup before you go to sleep so that your skin pores can breathe easily and you can help your skin to repair itself overnight. 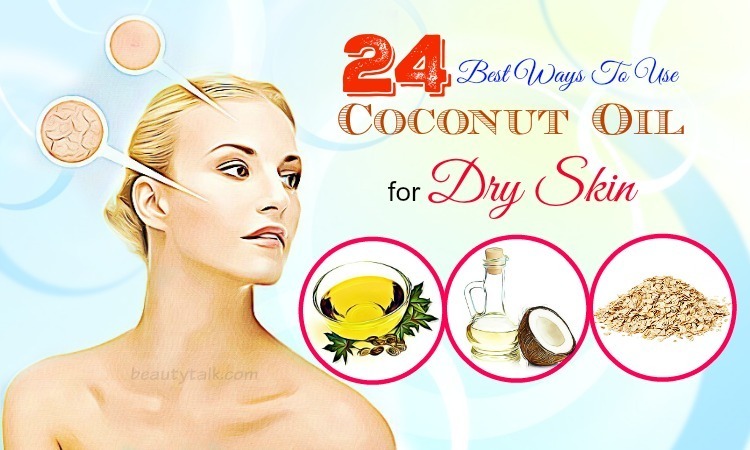 Although this is a simple step in the skin care routine, it is especially important for skin care in the 40s. Next, use a good cleanser and toner containing glycolic acid as a part of your daily routine for skin care in the 40s to remove the dead skin cells and get a healthier, youthful skin. A chemical exfoliant is also a good choice. 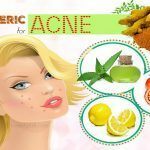 It helps to get rid of the outer layer of the facial skin to even out your skin complexion and smooth out fine lines and wrinkles. Exfoliating both your face and your whole body is a key component of a skin care routine. Gently exfoliate the skin at night for 2 to 3 times per week. Homemade peels or even a facial scrub can make your skin complexion look youthful and radiant and also boost up the production of collagen. When you age, your skin has a tendency to be drier and appear the dead skin cells and dry, rough patches cling to your skin surface, which emphasizes wrinkles and gives it a rough texture. So, if you remove the dead skin cells with a simple scrub or peel, it will enhance the texture of your skin. Regular exfoliation is also excellent if your skin is prone to acne. In addition, exfoliation allows your skin care products to penetrate more deeply, minimizes the skin pores, and removes fine lines or wrinkles caused by dehydration in your skin. However, if you have a sensitive skin or rosacea, you should skip this tip or exfoliate the skin less often because the dead skin cells actually shield your skin from irritation. You should opt for grainy scrubs that contain small, round particles. These particles should feel like sugar and be smooth and small in your hand. If they are too rough and big, they may tear your skin. Although homemade chemical exfoliators may work more slowly and be more expensive, they help to loosen the dead skin cells more effectively. If you feel too harsh to use homemade scrubs for your skin, select a chemical scrub with glycolic acid, or use a mild salicylic acid formula. If you are using a retinoid, slough your skin for twice times weekly. To sum up, make sure to exfoliate the skin gently and avoid a red, irritated skin that may hurt to the touch. Pimples are considered as a common problem that is always included in anti-aging tips for women in their 40s. A pimple often occurs around the jawline and mouth. 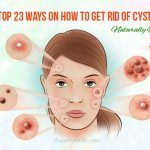 Once again, this skin problem can result from the change of your hormones. Instead of swapping all of your skincare products, you should use a treatment on the affected areas. 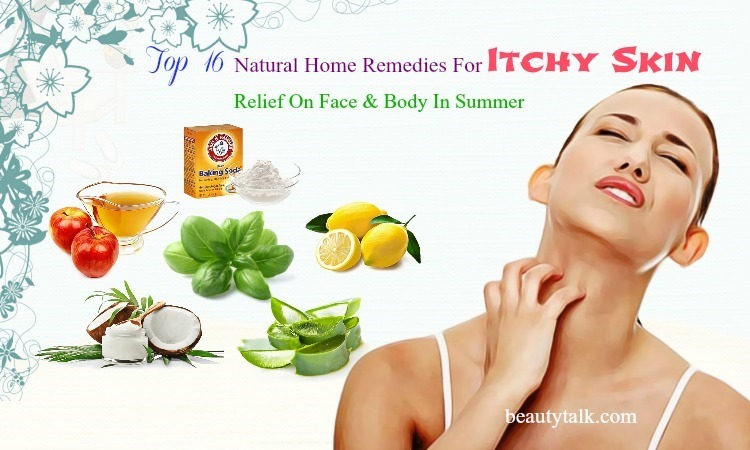 It is cheaper and more effective for treating pimples. 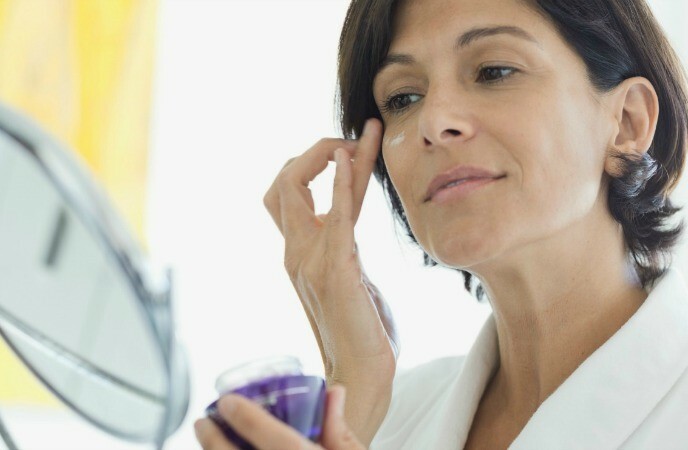 To hide the signs of skin aging, women have a tendency to overload on concealer and makeup, which may actually emphasize fine lines and wrinkles. When talking about makeup on your mature skin, less is also more. And you should opt for mineral makeup that is better for all the skin types. However, you should not splurge on the new and expensive products to hide these fine lines. Instead, you ought to consult your dermatologist monthly. Your dermatologist can give you the best skin care regimen for your skin and these results may last longer than an expensive foundation. At this age, observable damage, especially the damage from sun exposure begins to show on the skin. Therefore, protection the skin is one of other anti-aging tips for women in their 40s. Now, your skin gets thinner and more susceptible to get serious damage than before. Now, there are a lot of skin care products containing high SPF, but you should still wear a good sunscreen with SPF 30 or more every day and year round. The smartest tip for anti-aging tips for women in their 40s is to reapply sunscreen every 2 hours, especially when you are in the direct sunlight. Along with wearing sunscreen, you should also wear a wide-brimmed hat if you are going out in the sunlight longer than 5 to 10 minutes. Stress is a major factor that contributes to speeding up the process of skin aging. It upsets the normal balance of your body, which may accelerate the skin aging process. The outside signs of all the inner turmoil are the appearance of wrinkles, fine lines, and sagging skin. 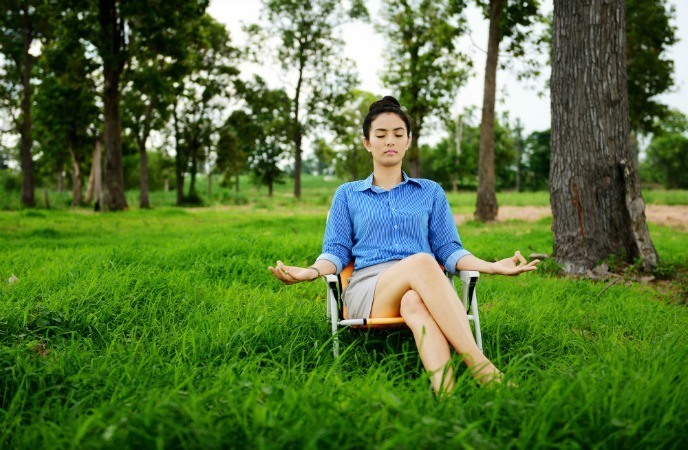 Learning to control stress more positively will really be an effective boost for your healthy aging. 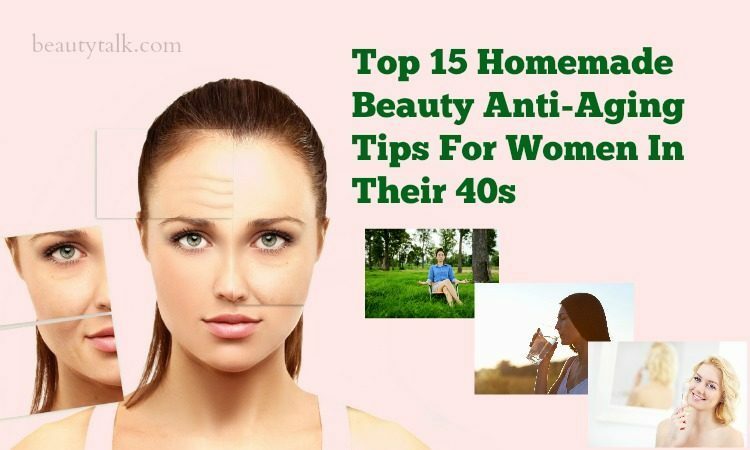 Don’t skip this tip if you want to know anti-aging tips for women in their 40s. Whether you wear makeup every day or not, it is crucial to spend a little time per day to cleanse your face thoroughly with the help of a creamy cleanser that will not strip off the natural moisture on your skin. No matter how old you are, it is also important to rinse your face before going to sleep. Even though it is a simple step, going to sleep with makeup on the skin, especially around your eyes, results in chronic inflammation and irritation at low levels. This may bring inflammatory molecules to your skin cells. After breaking down these cause direct damage, you will get a glowing skin. When you get older, you are prone to a curvature of the spine because now your bones start to be softer. To keep the back straight and in a good order, you can take a tennis ball and stand against a wall, placing this ball at your spine. Now, you bend the knees, keep the back straight, and roll this tennis ball up the spine to the neck. Then, slowly stand up till it is back at your spine's base. Repeat this for 20 times per day to improve your posture. Apart from sunscreen, it is also important for you to apply an eye cream nightly. The skin around your eyes is the thinnest and most delicate skin layer on your body. So, it needs loads of hydration in order to stay tight and firm, avoiding fine lines that can increase over time. Women in the 40s will begin to notice a loss of skin tone around their eye areas. Whether you suffer from dark circles, dryness, or puffiness under the eyes, you can benefit from applying eye cream. You can opt for the best eye cream for your skin with the help of your dermatologist. When you feel it is a perfect product, apply it every night. It is the fact that smoking is really bad for you. Like the health issues it causes on your inside body, it also makes you appear older. It creates a lot of wrinkles around your mouth, reduces collagen and elasticity in your skin, which will make it more sagging and stop the flow of blood and oxygen to your skin. 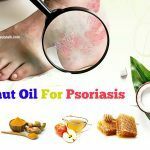 If you want to learn more about natural home remedies & beauty tips for other hair and skin problems, go to our main Skin Care page. 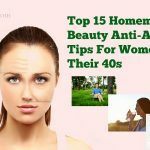 After reading the article of top 15 anti-aging tips for women in their 40s, hope that it can help you find out the best anti-aging skin care tips to take care of your skin when you are in your 40s. If you have any question, or you know other anti-aging tips for women in their 40s, please leave them below.